Lock, Stock & Sparrow » Nearly there…. 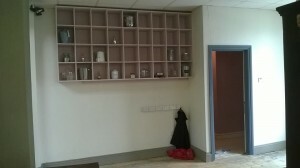 The work has been underway in the new shop for a couple of weeks now. 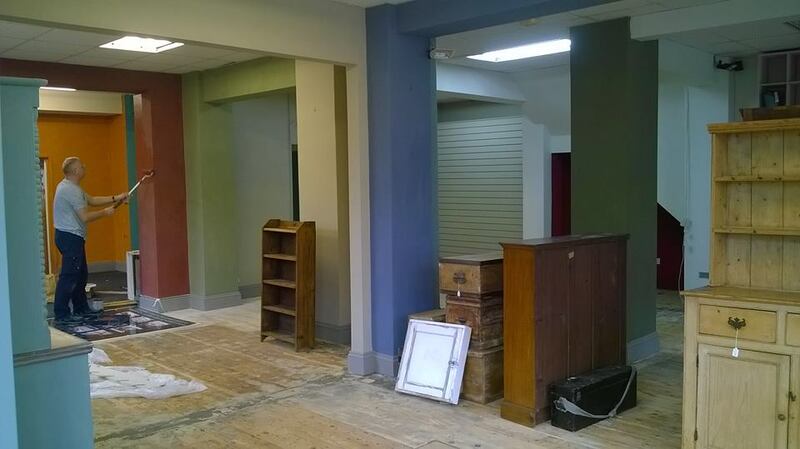 In the last 4 days there has been a team of ready and willing volunteers assisting to transform the shop….and transformed it is! The windows have been opened up to allow excited and inquiring locals to get a glimpse of the work going on. 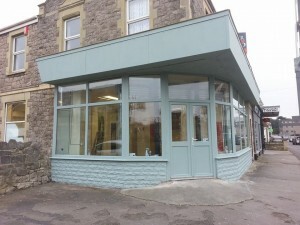 Mike has slaved tirelessly over the outside of the shop painting it in Duck Egg Blue. In the process we have discovered though that the paint has streaked in the rain. There was a debate over whether we should paint the outside in Chalk Paint and we decided to go with it but being completely honest, it hasn’t worked for this project. Mike has now painted the main signage in a colour matched outdoor paint. We have however painted a large majority of the inside in Chalk Paint and it looks great! Mike has posted some pics on Facebook to give you a taster but with still a fair bit of finishing touches it is going to look even better! Mike has started to bring furniture from the old shop and it is amazing the difference it makes seeing the furniture up against walls that actually looks like a bedroom, living room or dining room. I can’t wait for everyone to visit and really see the difference. 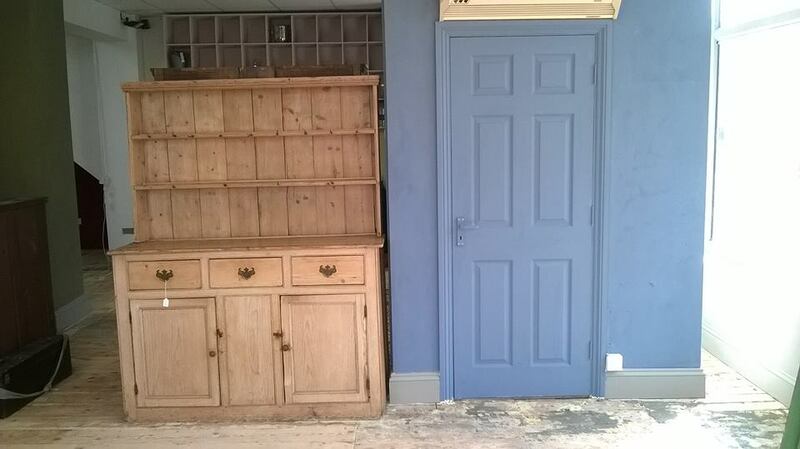 All of the paint colours shows the furniture off at its very best. We will be opening on Friday 1st April and the Weston Mercury will be coming, which is great news because it is so important to have local business supported by our media. We rely so much on word of mouth and hopefully a combination of valued existing customers, brand new local customers and the Mercury will get the word out that the new Lock Stock and Sparrow has arrived!